Often when we think of wedding dresses and the trends that come back around season after season, the style that prevails is romanticism. Romanticism is characterised by tulle, flowy fabrics, embroidery, lace… basically all things feminine which prevents us from considering other styles. However, in this gallery we’re taking a step further and showing you some stunning designs which really stand out from the rest. Get ready for bridal designs which are made for women who like to take risks. You do not want to miss this huge selection of original and unique dresses, we’re sure that you will adore them. You will find eye-catching looks which are out of the ordinary. 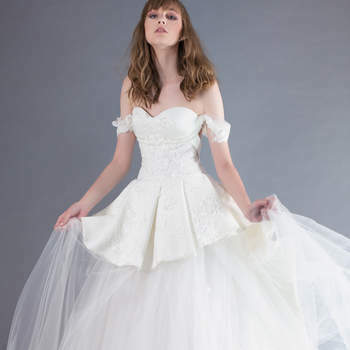 Coloured wedding dresses made with beautiful fabrics and incredible details. Two-piece designs made with a top and a skirt or trousers and a jacket, and even the lusted-after and elegant jumpsuit. Pearls, transparent sections, mesh fabrics, lace, bows, embroidery, glass beads and colours. All of this in our selection of the most diverse designs! Designs which will allow you to triumph on your wedding day. 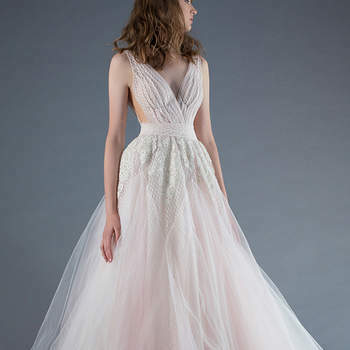 Because if you’re a daring lady and you want to add a unique touch to your bridal style, this gallery is a must-see. 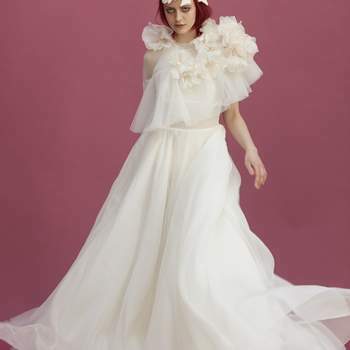 Trend-setting and innovative brands who want to dress to most current brides. You have to see them! From Maggie Sottero comes the new Sottero & Midgley Collection for Fall/Winter 2018, and it's another fabulous set of dresses from one of our favourite designers at Zankyou. Check out the gallery now!